FT Inspired by Gold is a marvelous liver chestnut colt sired by Flight Time Gold, out of the Thoroughbred mare Malia. 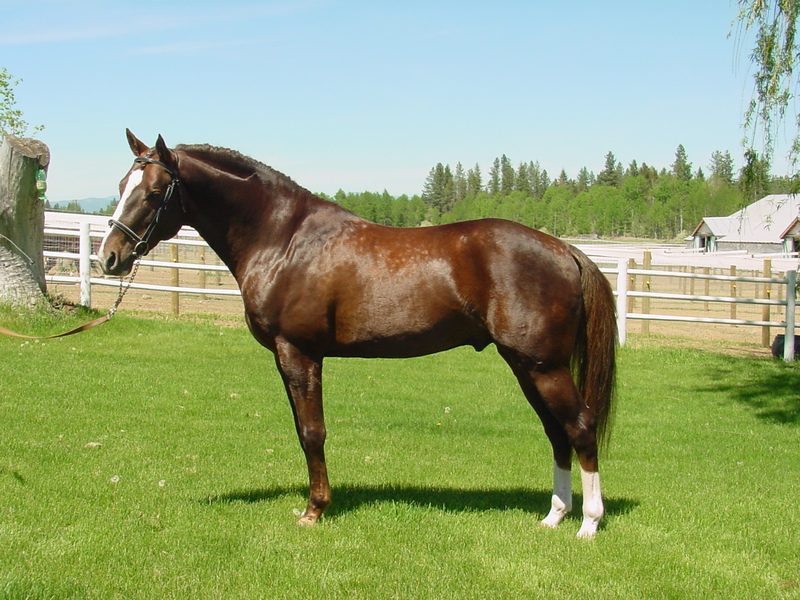 This mare was a successful hunter and Prelim jumper, sired by a son of Nasrullah and out of a mare by a son of Nasrullah. She had the conformation and athletic ability that her breeding is known for, being linebred on the most successful Thoroughbred Sporthorse sire in modern times. "Wonder", as this colt is affectionately known, should mature between 16 and 16.2 hands, and is destined for a career as an eventer or hunter/jumper. His well developed, large hip, elegant neck and head, and very correct legs could make him a competitive model hunter or show horse in any division. Not only is he a powerful, athletic, uphill mover, he is brave and bold like his mother, kind and sensible like his sire. 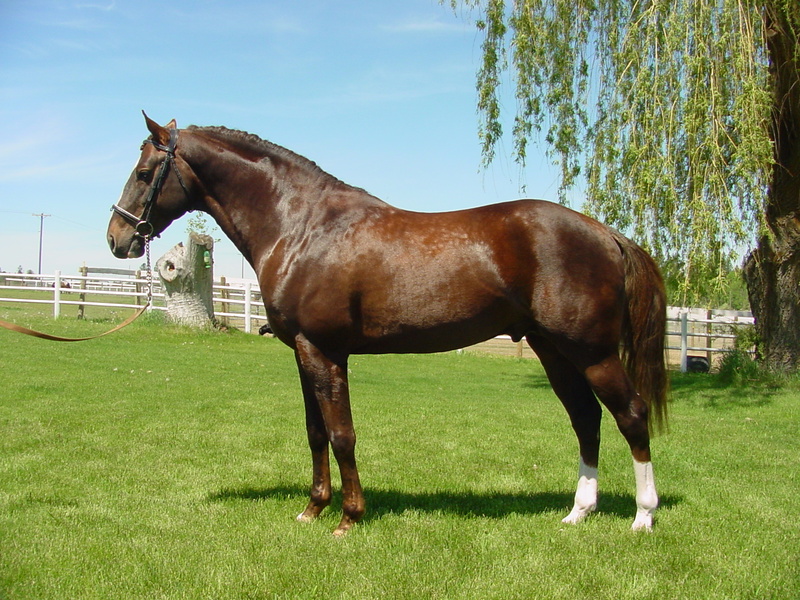 Shown lightly in 1996 as a weanling, Wonder earned the AWS National Star Program Silver Medal, and was reserve at the AWS Portland Inspection site. He placed extremely well in open in-hand competition at the NWSHBA Classic in 1996, receiving good scores for both conformation and movement. Remarkably, he was just 2 and 1/2 months old at the time he was shown! He is double registered with the AWS and the PHR (Performance Horse Registry, for half TB).